The food court has changed.. A LOT. It seems to seat more people and has a little area that looks cozy with plants and nice chairs. 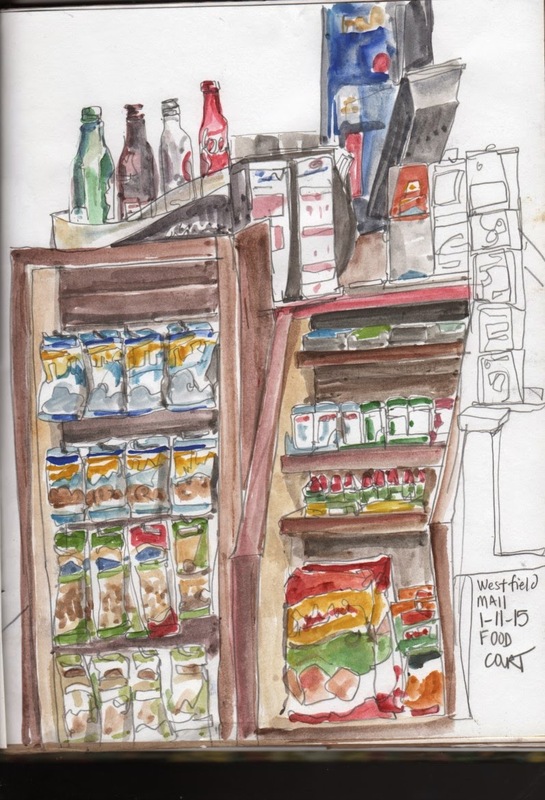 This is a snack stand I sketched while on an outing with the San Diego Sketch Crawlers.